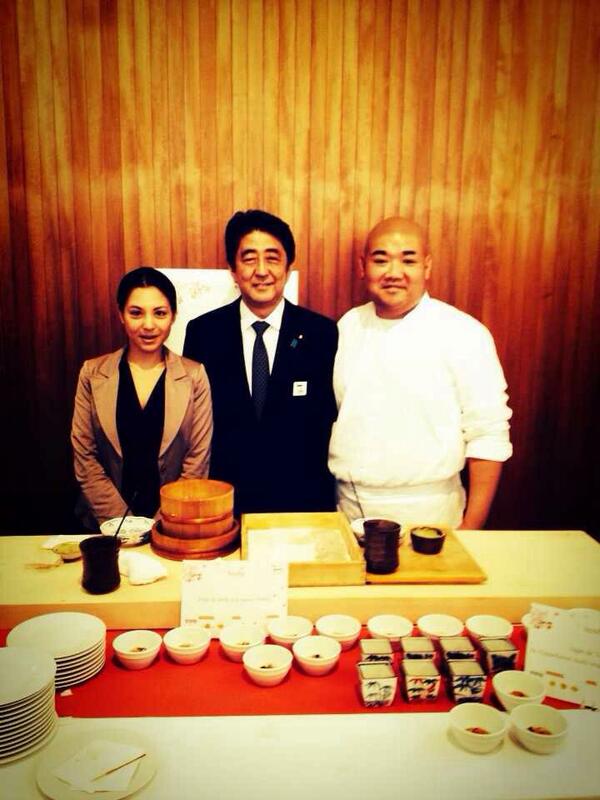 The Japanese PM visiting Nina Nikkhou and Takuya Watanabe in the French Capital. Today I had a summit meeting with President Francois Hollande of France at the Élysée Palace. This was my fourth time to meet with President Hollande since March. I am very pleased that I have been able to build a personal relationship of mutual trust with President Hollande. 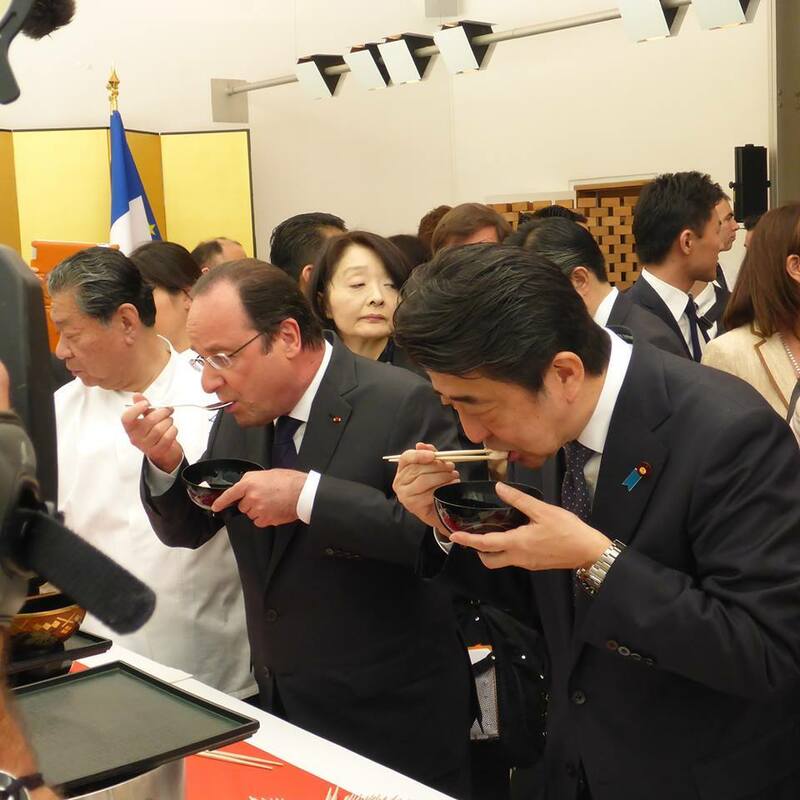 I served President Hollande “washoku,” or traditional Japanese cuisine, which was registered last year on UNESCO’s intangible cultural heritage list. The President enjoyed trying this cuisine. Our bilateral ties span security, economic growth, and culture. I will deepen these wide-ranging ties still further into the future.